What does it mean when justices reference each other at oral argument? 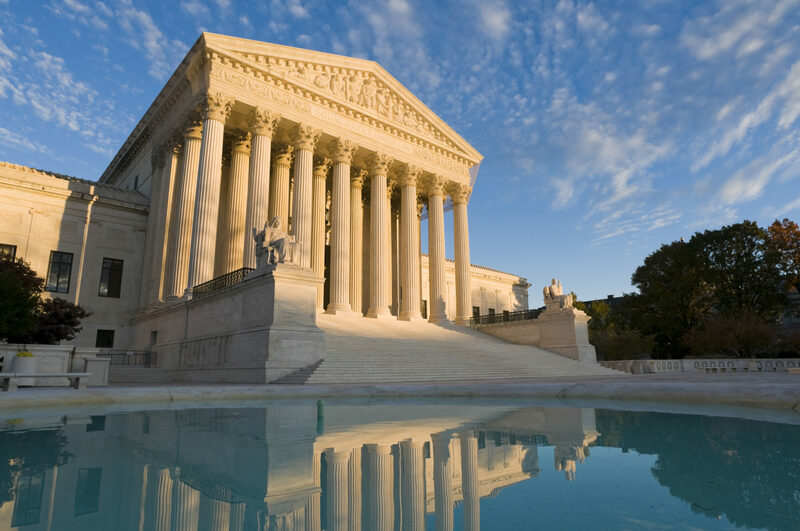 Previously, we showed that justices often refer to advocates by name as a form of “throat clearing,” that is, using prefatory words to ease into interrupting an advocate. Since interruptions are highly predictive of justices voting against the person they interrupt, that may suggest justices use of an advocate’s name is likely to signal disagreement. Is the pattern the same when justices use each other’s names? There is reason to think not: the justices may refer to each when they want an advocate to return to a question of shared interest. In this post, we begin to explore the phenomena of justice-to-justice name checking and conclude that, although there is significant variation between justices and over time, the practice is highly correlated with, and predictive of, agreement among the justices. As we have shown elsewhere, oral argument has changed significantly in recent decades, so the first natural question is whether judicial cross-references have changed also. The following figure shows a distinct shift in the practice of justice-to-justice name-checking over time. The figure shows the rate of justices referring to each other by name at oral argument from the 1985 to 2017 Terms, normalized per thousand words spoken by the justices. It is important to normalize figures by word count in order to adjust for the fact that the justices talk more during oral argument than they used to. In the mid-1990s, the justices began to play a far more active role in oral argument; the justices now talk for about 13 minutes more in the course of a 60-minute proceeding than they did in the pre-1995 era. . Yet even controlling for that enormous upward shift in judicial verbosity, justices referring to each other by name has measurably increased over the last 30 years. Since 2007, the rate of justice-to-justice name checking has been consistently above one per thousand words. Given the competitive cut and thrust of oral argument, that makes name-checking a significant part of the dialogue among the justices. Why the increase has occurred is a matter of interpretation. At least part of the cause is likely to be a response to the other dramatic changes we have observed in oral argument, in particular the significant increase in judicial activity at oral argument. With justices talking so much more and interrupting each other and the advocates more often, and the advocates interrupting back at greater rates, it is easy to have questions go unanswered or partially answered. As such, we would expect justices to refer back to earlier questions that they want to hear the answer to. That raises the associated question of when the justices refer back to each other’s questions. If the above interpretation is correct, it suggests that Justice A will be refer to Justice B when he or she wants an advocate to complete a previously disrupted answer to Justice B’s question. That in turn suggests that cross-references will occur among justices who are likely to agree rather than to disagree. The following figure explores that agreement-based intuition. It shows the rate of judicial cross-references, once again normalized per thousand words spoken by the justices, but this time divided among whether the cross-references occur between justices who ultimately vote together, or those who ultimately disagree, in the case at hand. The results support the interpretation above: justices cross reference each other about three times as often when they will ultimately agree with the person they are cross-referencing than when with they will ultimately disagree. This means that whereas we have a “disagreement gap” for justices interrupting advocates, we have an “agreement gap” between justices cross-referencing each other. (Note we could also develop a disagreement gap between justices, as Jacobi and Rozema’s research shows interruptions are associated with future disagreement among pairs of justices). Note also that the very large increase seen in the first figure is primarily being driven by an increase in justices cross-referencing those with whom they agree, rather than among justices who disagree. Put another way, while there has always been a tendency to more often cross reference one’s friends than one’s foes, the difference is considerably increasing in the last three decades. This result suggests that cross-references may be a counter-strategy to the more conflictual strategies we have previously highlighted, particularly of taking up the time of the advocate with whom a justice disagrees. By pointing an advocate back to a question of a future ally, the justice is emphasizing what he or she agrees with, rather than solely what he or she disagrees with. In a time of increasing partisan division on the Court, mirroring the increased partisan conflict in Congress and among the public, here at least we have a manifestation of agreement rather than disagreement. Of course, agreeing with one’s allies is a form of tribalism, as much as disagreeing with one’s foes, but next week we explore in more detail which justices specifically cross reference which other justices, and the broader implications of such behavioral patterns.